Cinnamon is well recognized as a dry spice, and is often recommended to diabetics as an aid in controlling blood sugar. Cinnamon essential oil provides the most potent source of cinnamon’s many medicinal qualities. It has a warming, stimulating fragrance that blends well with other essential oils. The proven antioxidant, anti-inflammatory, antimicrobial and antidiabetic abilities of cinnamon oil have earned it a place in modern natural medicine. Researchers have isolated the active therapeutic compounds known as cinnamaldehyde, eugenol and linalool in cinnamon essential oil and found that several of its medicinal benefits stem from its ability to dilate blood vessels and enhance nitric oxide function, which boosts circulation and reduces inflammation . The natural chemicals in cinnamon oil have the ability to lower LDL (“bad”) cholesterol and raise levels of HDL (“good”) cholesterol . The eugenol in cinnamon oil is shown to have an anti-platelet action that prevents abnormal blood clots, further improving cardiovascular health and preventing stroke . These benefits combined make cinnamon oil valuable in the prevention of heart disease, heart attack and atherosclerosis. By inhaling cinnamon oil, you can relieve congestion when you have the sniffles or a cough. It helps to purify the lungs when you have a respiratory infection, and it reduces inflammation in the respiratory tract when you inhale it. Adding a few drops of cinnamon oil to an essential oil diffuser when you have a cold or flu can help you reduce the severity of symptoms. Cinnamon is a folk remedy in Ayurvedic medicine for sexual dysfunction and boosting libido. A recent animal study has shown that cinnamon essential oil helps resolve impotence and improve sexual function by increasing blood flow and improving both sexual desire and erectile function . You can use it as a natural aphrodisiac simply by inhaling it, using an essential oil diffuser or by adding a few drops to massage oil. Cinnamon is shown to lower high blood sugar and improve insulin levels, acting as a natural remedy to help with diabetes . The active compounds in cinnamon oil reach your bloodstream simply by inhaling the aroma, so you can get these benefits just using your essential oil diffuser. For a therapeutic dose of cinnamon, you can take cinnamon oil internally in small doses, by taking 2 or 3 drops mixed with honey or tea up to 2 times a day. Whether you struggle with your blood sugar levels or not, the improvement in blood sugar levels cinnamon oil provides can help you keep sugar cravings at bay and improve eating habits. However, the active plant chemical in cinnamon called cinnamaldehyde has been found to help with weight loss in another impressive way as well. Studies show it activates thermogenesis (heat production) in stored fat cells, causing them to burn off . Getting some cinnamon oil in your diet or as an aromatherapy regimen can help you improve your weight loss efforts, and you can use it to improve blood circulation and promote faster recovery after workouts. Cinnamon essential oil has antiparasitic, antibacterial and antifungal properties that can help you fight intestinal infections, candida overgrowth and more. Cinnamon disrupts the biosynthesis of amino acids within parasites, causing them to weaken and die . Especially when combined with other germicidal essential oils such as oregano, ginger or thyme oil, cinnamon oil can help you cleanse your body of parasites, which don’t always show noticeable symptoms but do drain your energy and tax your health below the surface. A compound in cinnamon essential oil called eugenol has been shown to kill the bacteria that causes stomach ulcers, called H. pylori. One study showed that cinnamon oil taken internally each day for a month reduced H. pylori colonization to the point of eradicating gastric ulcer symptoms, with no adverse side effects . Another study showed that eugenol curbed the number and severity of stomach ulcers in a dose-dependent manner . Adding a 2 to 3 drops of cinnamon essential oil to a spoonful of honey or a cup of tea with honey and lemon is a great way to soothe a sore throat. Cinnamon oil possesses anti-inflammatory properties that can reduce swelling in the throat. It also has immunomodulatory effects that boost your immune system in response to infections . Its antimicrobial ability also helps kill off the source of a sore throat. You can take it internally or add several drops to a bowl of steaming hot water and inhale the vapors to get relief. Cinnamon reduces acidity, indigestion, nausea, diarrhea and other gastrointestinal complaints. As a carminative, it breaks down gas bubbles in the stomach and intestines. It also has an antispasmodic effect on the bowels, which means it relieves cramping . You can take 1 or 2 drops under your tongue or mixed with a spoonful of honey after a meal to improve digestion. Cinnamon oil combats stiff, painful joints, and may help improve arthritis. One study showed that taking cinnamon oil reduced joint pain in and inflammation in rats with rheumatoid arthritis . You can use it topically when combined with a carrier oil to improve blood flow and reduce inflammation in your joints. Another study showed that ginger and cinnamon combined reduced muscle soreness among female athletes . By dilating blood vessels and improving circulation, it helps oxygen and nutrients reach inflamed tissue so that it can heal. 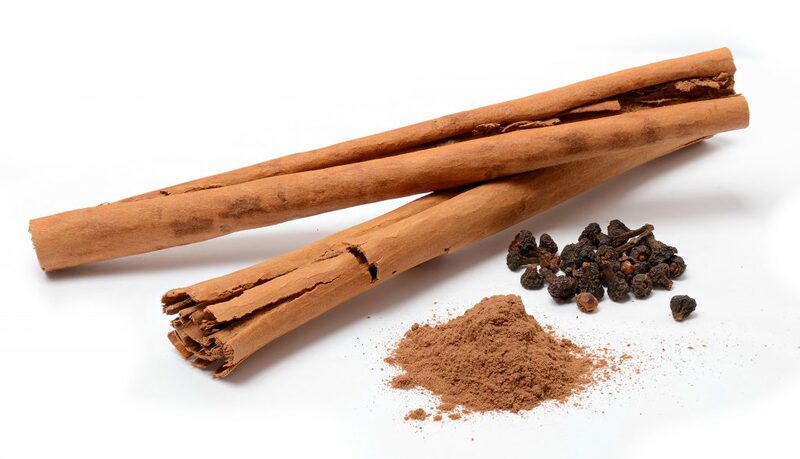 Another topical use for cinnamon oil is to fight fungal infections such as athlete’s foot and toenail fungus. It’s best combined with olive or coconut oil, which also have antifungal properties, and applied to the problem area at least once a day. You can also use a few drops of cinnamon oil directly to the site of fungus for a more powerful effect, but next time dilute it in a carrier oil if this causes irritation . Eugenol is a cinnamon compound often used in dental hygiene products for its ability to numb the gums and teeth without side effects . Use cinnamon essential oil as a natural anesthetic for toothaches to reduce pain and inflammation, by applying a couple drops on a cotton swab and placing it on the site of pain. You can also add a few drops to a cup of warm water to use cinnamon oil’s antiseptic properties as a natural mouthwash. Cinnamon essential oil is all-natural, but because of its potency, it should be used with caution. Essential oils contain the most potent form of medicinal plant compounds, and therefore operate much like any medicine. They’re toxic in higher doses and can interact with medications. A high-quality cinnamon oil can be used internally for its therapeutic benefits, but no more than 3 drops should be taken a day. Avoid applying cinnamon directly to your skin without a carrier oil, as it can cause irritation. Cinnamon is warm and invigorating when used in aromatherapy, and it blends well with citrus oils, ginger oil, frankincense oil and floral oils. Add a few drops to an essential oil diffuser when you need some refreshing aromatherapy in your life.